Hello fellow scrappers :)~ I hope you had a great weekend and are ready for a whole new week~! I'm not sure what happened this month, but it seems I've had a new post every day all month- and I don't think that's a stretch, lol. I've just been busy, busy, busy creating and have SO much to share- so if you can't keep up, don't worry, I don't blame you at all! Things are sure to slow down later in the month as it always does :). 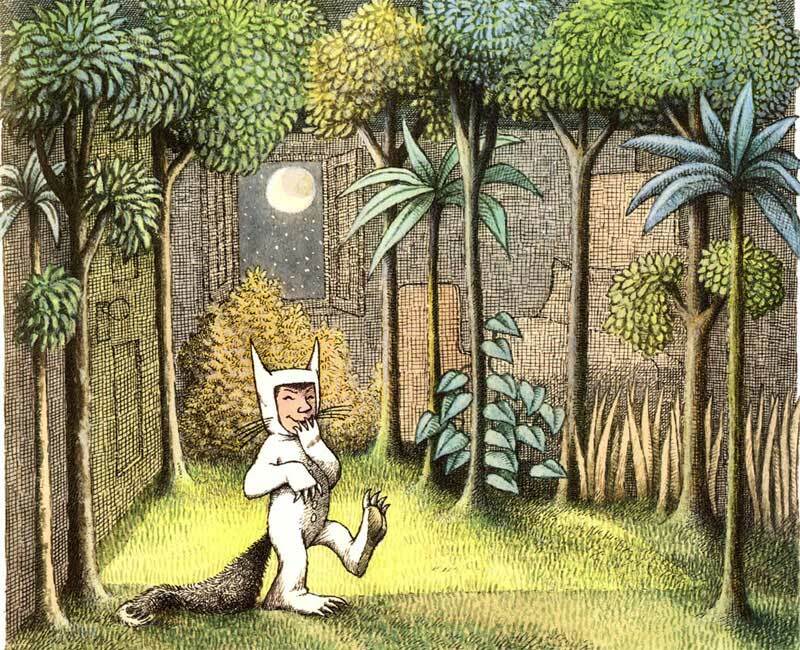 This photo of my Gunner in his Halloween costume made me think of the little boy in the book "Where the Wild Things Are", and inspired this layout. The colors, the "trees", the little boy in his costume...I love when a photo inspires me and leads to further inspiration like this :). I was a bit unsure of how I felt about the stamping that I did, but in the end I felt okay with it as it compliments the idea behind the layout...or at least that's what I told myself, ha! I've used a variety of gorgeous new Spring Collection flowers from Manor House. Some of them I dressed up with some beads and glitter. I've also outlined my stamped image with glossy accents and seed beads. 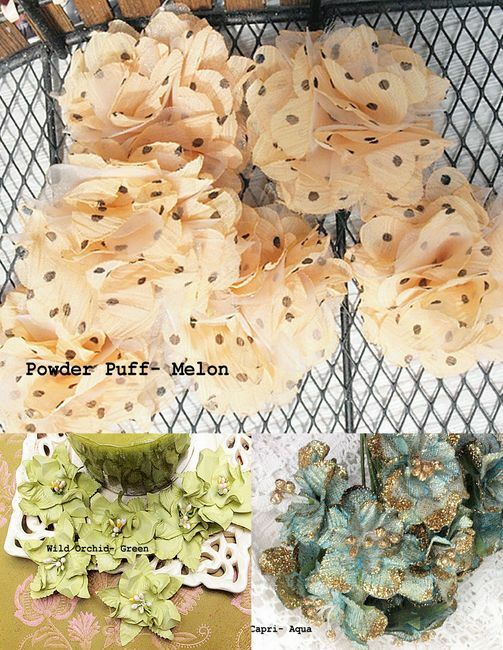 I love to mix paper and fabric flowers, and the gorgeous "Powder Puff- Melon" layered fabric bloom and glittery "Capri- Aqua" flower (one of my faves!) perfectly compliment the "Wild Orchid- Green" paper flowers to create some beautiful clusters! Thanks so much for coming by today :)~ have a good one! Et lækkert LO, din lille dreng ser så betuttet ud, du har bygget op med mange fine detaljer og skønne farver. knus morkaren. Another gorgeous page. Always love your details. :) You captured the feel of the book perfectly. Oh I love that! Perfect title and precious page! Oh, love your clusters of poofy and pretty flowers and ribbon! Sweet picture and love the background - great job! That is so cute, love how your little boy looks in his costume! Also love how you got your inspiration by that book, great job! Really love the way you used the inspiration from the book Erin!! Looks perfect with that adorable photo! Okay, I adore that book and that creation mimics it to perfection! Love it! I so love the manorhouse! Erin, recebi meu lindo candy, fique muito feliz e agradecida. Obrigada de coração. Um beijo, fique com Deus. Um abençoado 2013 para você e sua Família.. This is ABSOLUTELY amazing!! Beautiful - beautiful details and sooooo interesting composition!!! I just love everything about it!